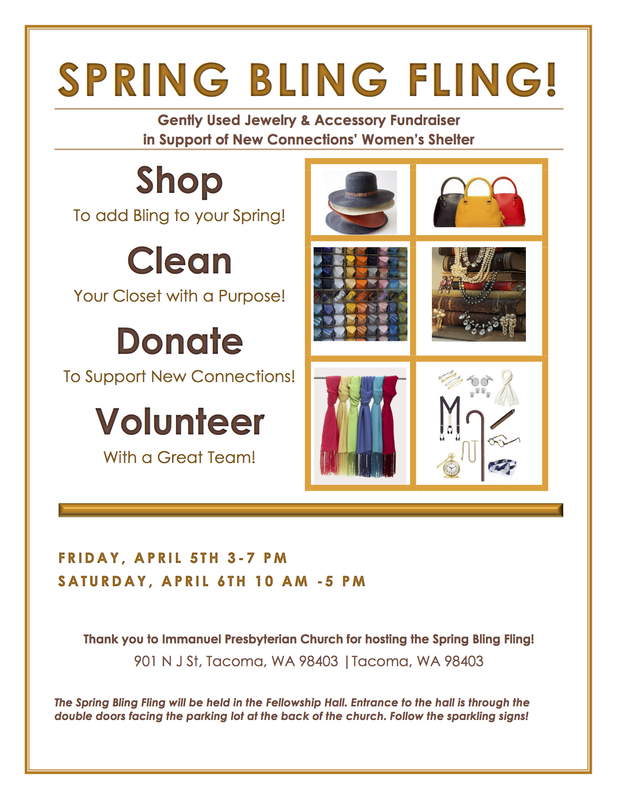 Follow this link for more information about Spring Bling Fling 2019. Women face many challenges when returning to society after incarceration. The first days and weeks are critical to building a more positive future. New Connections offers safe housing in a welcoming community along with advocacy, networking, and resource coaching to support those first crucial steps toward successful transition. Irma’s House: supportive recovery shelter for women experiencing homelessness who have recently been released from correctional facilities in Washington State. The program includes housing, intensive resource coaching, advocacy, and reentry support. Annie’s Cottage: a family shelter adjacent to Irma Gary House, the cottage provides the services described above for women experiencing homelessness and their children. The cottage is reserved for justice-involved women with custody of minor children. Partnering with others to increase community safety, reduce recidivism, and eliminate barriers to success for formerly incarcerated individuals and their families.